Below are just some of the articles giving the impression that Chad Johnson is turning over a new leaf. A once idolized sports figure who played for the Miami Dolphins, but lost his job, as well as, was arrested for wife-beating and lost a good gig of a coconut water endorsement. 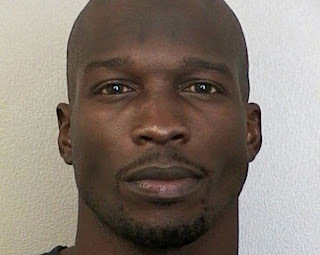 But read clearly of the account of Chad Johnson's actions asking yourself if this man gets it! Sure we all need fun, excitement and social interaction, but what if "Porkchop" is a man living on the streets who actually needs someone to give attention to him in a real natural way, instead of the ongoing "buy and pass the buck" methods being used on those who fall into the "Last Class" citizens category? Now that Chad Johnson knows first hand of "Porkchop" and his living situation, do you think Mr. Chad Johnson - without knowledge unto the public - will give real thought as to actually helping Porkchop overcome his situation, should he seek it? Chad Johnson isn't the only one using "The Houseless" for profit/gain/control. 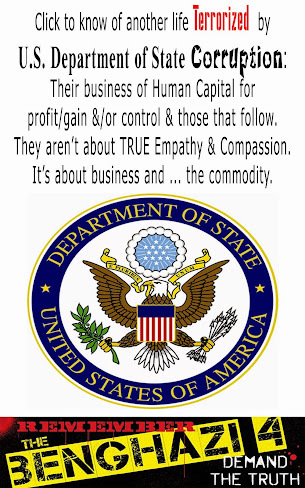 So many of the same 501(c)(3) businesses promoting themselves as helping "The Houseless" do so for work, profit/gain/control and/or a "Feel Good" feeling for ones self. Not all mind, you but ...! Then there is the other side of the problem where many of those living life as being "Houseless" use the system and/or abuse the system for their own profit/gain/control. This IIO has encountered more than a fair share of those who would really like to come across someone as Chad Johnson who would buy them alcohol, get their vice fixes and even take them clubbing. All of this is sad for those who actually seek to not be trodden down under the maze of confusion with being "Houseless". What do you think? Real humanitarian or just someone who needed some "FEEL GOOD" and/or self serving for ones self? Please leave your comments related to this posting below. 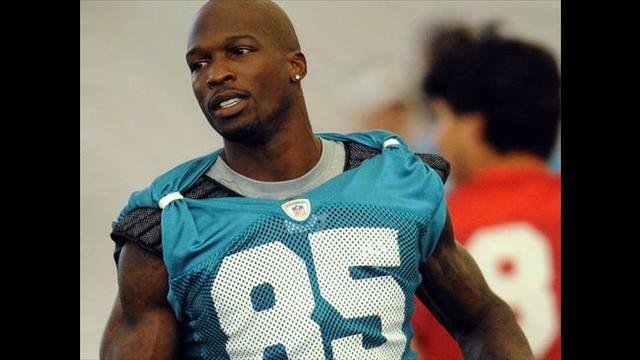 A nice gesture by Mr. Ochocinco. 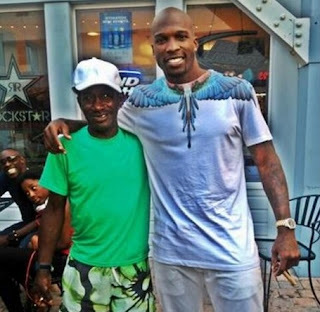 Out-of-work wide receiver Chad Johnson, in a spontaneous act of generosity inspired by the Kardashians, spent Saturday evening with a homeless man named Robert. Johnson bought Robert a beer, took him to Urban Outfitters, and ended the evening in a club. Although Chad Johnson will likely never play for the Dolphins again, he’s making quite the impact in Miami. On Saturday, the mercurial — and unemployed — receiver bought a case of beer and pack of cigarettes for a homeless man. In typical Johnson fashion, he broke the news to his four million Twitter followers, attaching a picture for good measure. Johnson hung out with “PorkChop” for the entire day, giving him a watch, buying him clothes, and even going job hunting together. Gave dude a G-shock watch I had in the car so he can tell time, we’re listening to Frankie Beverly n Maze on my iPhone living it up ???? 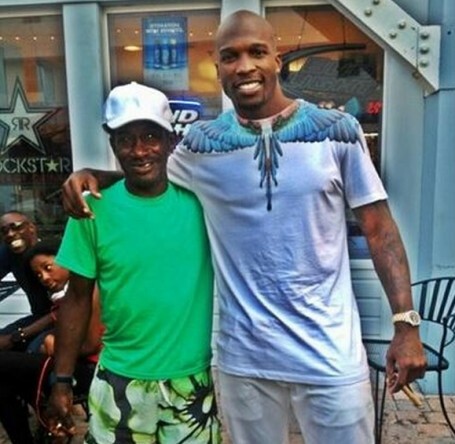 Who needs Chad Johnson the player when the world clearly has Chad Johnson the humanitarian? 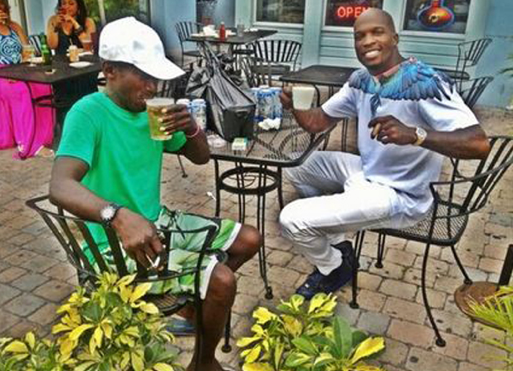 What do you think of Chad Johnson hanging with this homeless man? Good deed or attention seeker? We know you have an opinion, and we want to hear it. Comment below to share your thoughts with us! Want more? Follow our tweets on Twitter and like us on Facebook! Click here for more information about Basketball Wives. For other great reality TV news, please feel free to check out Sir Links A Lot. Chad Johnson. Homeless man. Beer. Friendship. Twitter. 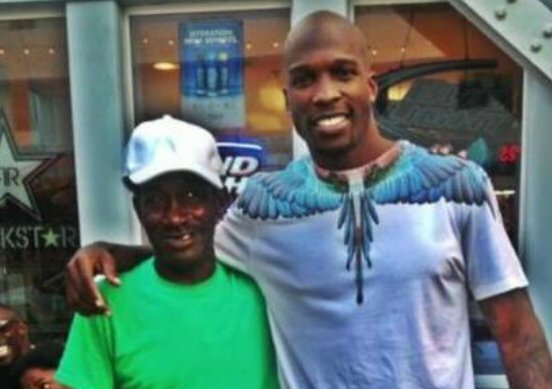 The out-of-work NFL star, in a spontaneous act of generosity, spent Saturday with a homeless man named Robert after making his acquaintance on the street. Robert asked the 35-year-old athlete a beer, at which point Chad made his day by buying him a 24-pack - plus a pack of Newports for good measure. The former Ochocinco said they were both unemployed so they may as well hang out, and so they did. He took "Porkchop" under his wing for the weekend. Johnson, who recently split from Evelyn Lozada and may be in need of companionship, also took him to Urban Outfitters, and ended the evening in a club. by Free Britney at April 30, 2013 8:01 am - See more at: http://www.thehollywoodgossip.com/stars/chad-ochocinco/#sthash.lHvnVF24.